“It [the polar bear] lives where few people venture, but it is losing its natural habitat to a man-made meltdown, battling starvation and facing extinction. The climate change that is thawing the Arctic is upon us all, wherever we may be. This “note” tells you pretty much all you need to know about what to expect. 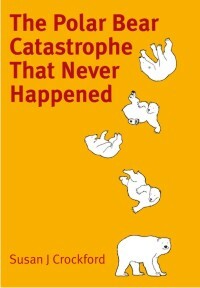 The book uses the gruesome details of a predatory bear attack — a known media and publishing draw — as bait to sell a false message that the Arctic sea ice is in an unnatural state of decline and polar bears are in peril. 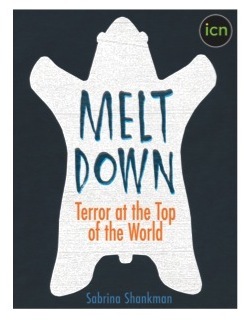 Here’s a brief summary of the attack the book is based on (with links to an excellent online account that let’s you by-pass this book), some polar bear facts and sea ice context to counter the hype, and background on the author and publisher. The mauling took place in Torngat Mountains National Park in northern Labrador. At 59 degrees N latitude, it is slightly north of Churchill, Manitoba (Fig. 1). The top of the world (the North Pole) is at 90 degrees N latitude, about 2,070 miles or 3,350km away. What’s a little literary license? Figure 1. 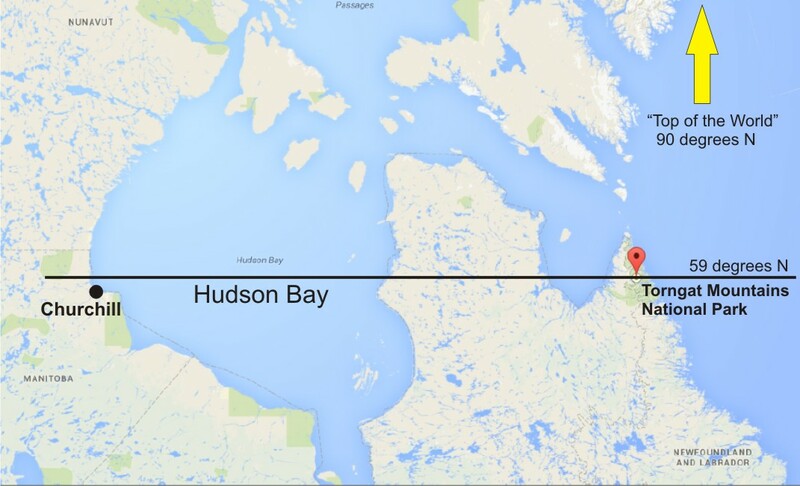 Location of the 2013 polar bear attack on Matt Dyer, in Torngat Mountains National Park, Labrador, Canada. At latitude 59 degrees North or so, the park is on almost the same latitude as Churchill, Manitoba (~58 degrees N) and about 2,070 miles away from the North Pole (“the top of the world”). The polar bear attack took place on 24 July 2013. The sea ice had left the coast early in July (Fig. 2 below), so by the 24th, the bears had not been ashore for very long. While there may have been a few poor hunters who hadn’t put on enough fat, most of the bears would have been far from starving. On the contrary, many would still have been in hunting mode. Figure 2. State of the sea ice at 30 June 2013. On that date, there was still ice off Torngat Mountains National Park where the polar bear attack occurred but bears would have been getting ready to go ashore for the summer. Overall, Davis Strait bears experience an ice-free season in summer/fall that is very similar to that of Western and Southern Hudson Bay bears (lasting from about early July to mid-November). 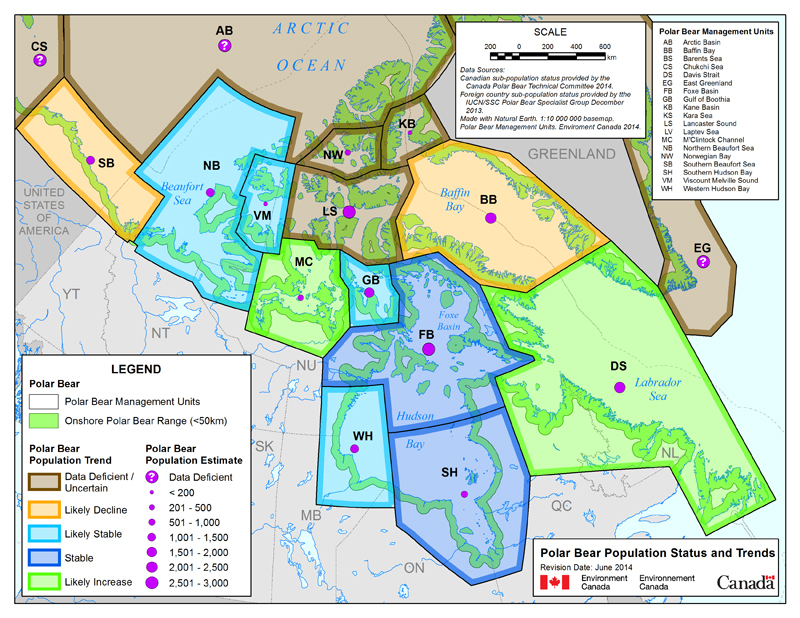 The bears in this area of Labrador belong to the Davis Strait subpopulation, which Environment Canada considers to be “likely increasing” despite having some of the longest ice-free seasons in the Arctic. While changes in cub production and body condition have been documented, they may indicate the population is approaching its carrying capacity rather than suffering the effects of declining sea ice. Figure 3. The Davis Strait (DS) subpopulation region runs from just below the Arctic Circle at the north end to at least 470N in the south. About half of DS lays at the same latitude as Western Hudson Bay (WH). Courtesy Environment Canada. And the polar bears’ future? As I’ve noted recently, the models that predicted polar bear extinction have been strongly criticized by modeling experts at the International Union for the Conservation of Nature (IUCN) as unacceptably unscientific for projection purposes. Take away those deficient models and the fear of extinction evaporates against a wall of evidence that polar bears have so far not been harmed by summer sea ice declines. Seven hikers set out on a two week long adventure organized by the Sierra Club.The mauling happened in the middle of the night of the third day, about 2:30am, despite the electric perimeter fence they had in place. The group assumed the bear that attacked the victim (Matt Dyer) was the same big male that had advanced on their campsite the afternoon before. The bear had come within 30-50 yards but retreated when the group fired some flares at it. But the bear stayed nearby, watching. The hikers knew he was there but apparently were not especially concerned. The bear attacked Dyer tent and all: it just pounced on the one-man tent and hauled the whole package away down the beach. The other hikers fired off some flares. The bear dropped Dyer and left. The bear was not pursued in the days afterward and was not shot. These details are covered in the book but also found online in an account published in the Maine Press Herald on September 2, 2013. If you read that news report, you won’t miss much that’s in Shankman’s book and it has pictures the book doesn’t have. Dyer is described in the Press Herald account as a “liberal activist” and long-time member of the Sierra Club, an organization that has been quite vocal about polar bear conservation issues. The Sierra Club organized trip to Labrador cost Dyer ~US$6,000. As you’ll see below, some of those claims misrepresent the facts. My review copy had 53 pages, including the “note to readers” and no references. There were no pictures or maps in the review copy, although it is now clear that the the final version does have maps and pictures. See an excerpt provided here. 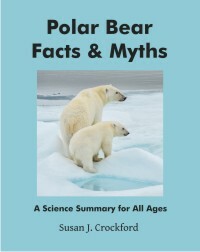 While the press release says the book is “based on lengthy interviews with…almost two dozen of the world’s experts on polar bears and sea ice,” in fact there are only about six expert accounts that looked like they could have come from interviews. At least half of the material that related to “experts” are very short summaries of their published papers or books, not interviews (e.g. Stirling and Derocher 2012, discussed here and here; Peacock et al. 2013; Derocher 2012; Robbins et al. 2012; Parkinson 2013). Cecilia Bitz, co-author of a 2006 paper that projected an ice-free Arctic by 2040, does appear to have been interviewed (Holland et al. 2006), as were a few others: James Wilder, US Fish and Wildlife (about polar bear attacks); Jacko Merkuratsuk, local Inuit hunter (about quotas); Robert Rockwell, on polar bears consuming terrestrial foods; Judy Rowell, superintendent of Torngat Mountains National Park (about attack prevention). 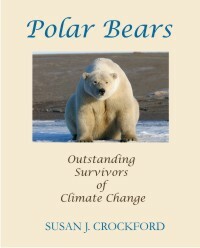 This entry was posted in Advocacy, Book review, Polar bear attacks and tagged Amstrup, attack, climate change, Davis Strait, excerpt, extinction, global warming, ice-free season, InsideClimateNews, Labrador, Meltdown, polar bear, sea ice extent, Shankman, Sierra Club, starvation, terror, top of the world. Bookmark the permalink.